Explanation: Is star AE Aurigae on fire? 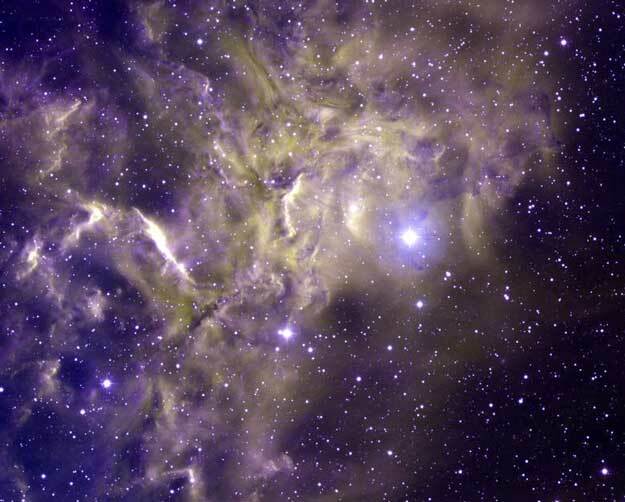 Although surrounded by what may look like smoke, the object known as the "flaming star" creates energy primarily by nuclear fusion, like other stars. 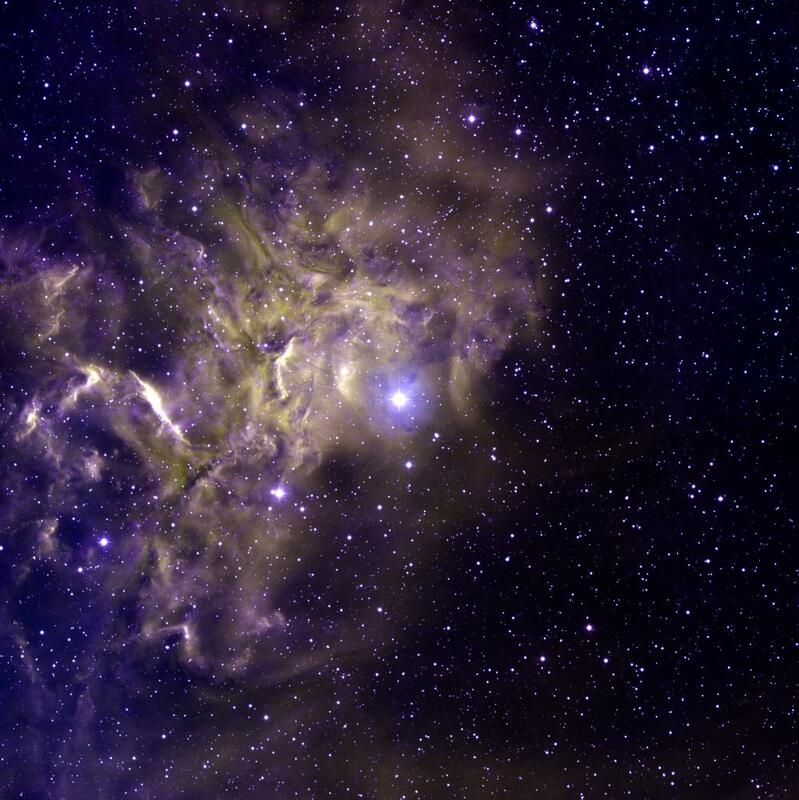 Fire, typically defined as the rapid molecular acquisition of oxygen, happens only when sufficient oxygen is present and is not important in such high-energy, low-oxygen environments such as stars. The material that appears as smoke is mostly interstellar hydrogen, but does contain smoke-like dark filaments of carbon-rich dust grains. The AE Aurigae region was imaged by the KPNO 0.9-meter telescope and is shown above in false but representative colors. The star AE Aurigae itself is very bright, young, blue, and known as a runaway star since it appears to have been ejected from the Orion Nebula region about 2.7 million years ago.